The post Think You’re Ready for a Puppy? Your New Puppy Checklist by Jackie Brown appeared first on Dogster. Copying over entire articles infringes on copyright laws. You may not be aware of it, but all of these articles were assigned, contracted and paid for, so they aren’t considered public domain. However, we appreciate that you like the article and would love it if you continued sharing just the first paragraph of an article, then linking out to the rest of the piece on Dogster.com. I’ll never forget the day I met my Miniature Poodle, Jäger. It was truly love at first sight! Here was my little baby. Squeee! I didn’t get Jäger on a whim, though. That moment we met was the culmination of months of research and soul searching as my husband and I sought to bring home the “perfect” puppy. He’s 9 now, and he really is perfect for our family and just the most wonderful dog. 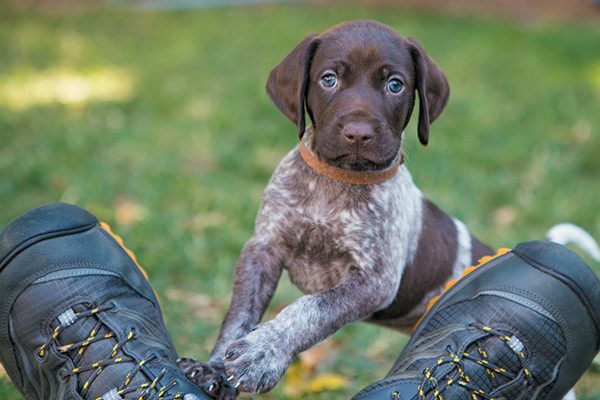 Even if you’ve gotten a puppy before, you may need a refresher on where to start, so here’s a new puppy checklist and some advice from the experts. You’ll have your dog for 10 to 15 years (or more! ), so don’t rush. Take your time now to make a good choice, and it will pay off with a lifetime of love and happiness. Who’s responsible for the puppy? Make sure you decide who will be responsible for the care of the puppy. Photography © Mark Rogers Photography. This first item on any new puppy checklist — who will care for your puppy and how? This is a good time to talk about who will be responsible for the care of the puppy and to come up with a plan to meet your pup’s needs, especially if everyone works full time. You can also use doggie day care services or even ask about dogs in the workplace. It never hurts to ask! What kind of puppy is the best fit? Do plenty of research before meeting potential dogs. Many shelters and rescues have adoption counselors who will help you. Photography © AlexRaths | Getty Images. 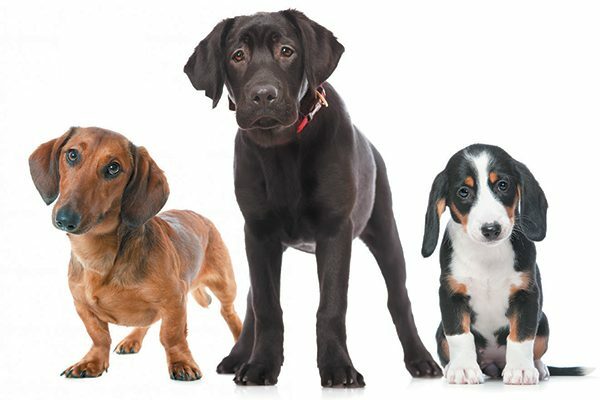 Before creating a new puppy checklist, think about what type of dog will fit best into your family. Do you live in an apartment? You probably want a smaller or less-active dog. Avid joggers need a larger, high-energy dog for a running companion. Don’t be fooled by anyone who says a nonshedding dog won’t need professional grooming. All dogs with hypoallergenic coats need at least some grooming, and many need a lot of grooming, which can be expensive. Decide beforehand on who will walk the dog. 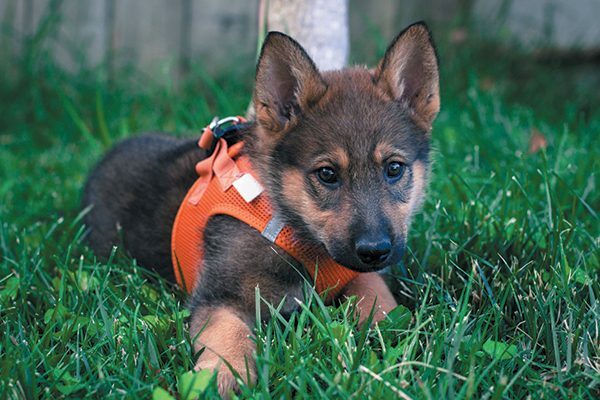 Have them attend training classes with the puppy on proper loose-leash walking. Photography © kirendia | Getty Images. When looking at several puppies, think about your new puppy checklist. Perhaps you are looking for a small- to medium-sized, nonshedding puppy who will get along with kids and does not need too much exercise. Go with your gut, but also ask for help from the breeder, a dog breed organization or shelter staff. “Shelter animals come in all shapes, sizes and energy levels, and will have volunteer adoption counselors available to help match you with the right puppy for your lifestyle and experience level,” Diane says. Future adult size is fairly predictable in purebreds, but it can be a little tricky to pinpoint when looking at mixed-breed puppies. And no, the size of the paws doesn’t always indicate how big or small a puppy will grow up to be. Use common sense. If you want a small dog, don’t adopt a Lab or Pit Bull mix. When in doubt, ask for help. As for temperament, think about what life is like in your family. “A quieter pup may not be a good candidate for a family with multiple children, but that busybody puppy may thrive and excel, and become the darling of the soccer team,” says Teresa Murphy, a Cavalier King Charles Spaniel breeder in Glen Ellen, California. Thumbnail: Photography © adogslifephoto | Getty Images.